The English language for business is important in a growing business. It is the most used language in the trade and commerce landscape. In content marketing, it plays a vital role. It has the ability to connect the global market. Without it, it’s impossible for companies to reach out to their customers all over the world. The British and American English are commonly used in both written and spoken language. These are also the language used for business communication in almost every country. Their differences are rooted in their culture and history. Without proper knowledge about these, it will create cultural gaps and misunderstandings. Simply put, a successful business transaction lies on how to use each language. Let’s discuss the opposing characteristics between British and American. There are no grammatical differences in British and American that will lead to confusion. But, in business transactions, you must pay attention to the detail and the knowledge of the language. Preference in prepositions is one of their major differences. For instance, in British, it’s expressed as “Monday to Friday”. In American English, it’s “Monday through Friday”. The spelling of British and American are very much the same and not difficult to understand. Your audience should be able to identify with your content even in your spelling. This will show your level of respect and professionalism. Here are their key differences. There are significant differences when it comes to their vocabulary. For instance, in American English, the word fag means a homosexual person. In British English, it means cigarette. Another example is the word vacation for American and holiday for British. Be sure to be mindful of the meaning of the words that you use. Through this, you’ll be able to contextualize your message. 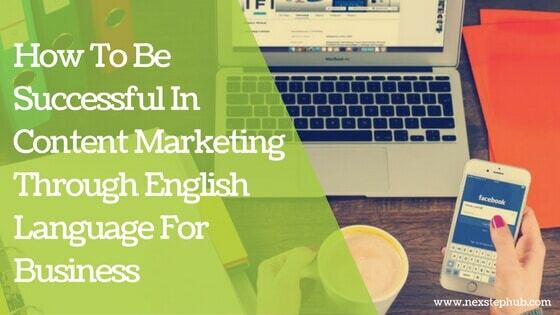 In content marketing, the best way to communicate to your audience is to speak the language that they use. With this, you’ll be able to create a brand that suits to their taste and buying behavior. Your videos, blogs, and social media posts must have words that will reflect who they are. Apply your knowledge about American or British language in your content. In effect, you’ll make your target audience feel that you value and respect them. To reach the international market, you should understand the English language for business. The article British vs. American English for business was written by Hi-Com Asia.